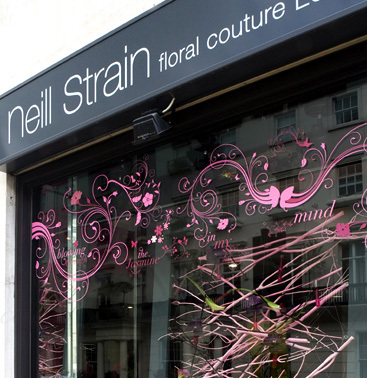 Neill Strain Floral Couture is a chic floral gallery and flower school of great repute. 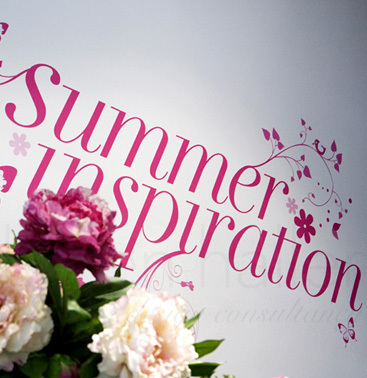 Neill and his talented team of designers are rapidly carving out a reputation as a company synonymous with innovative floral design and have been responsible for decorating some of London's most famous venues with fabulous floral décor for parties and events, to transforming ancient castles in Ireland for celebrity weddings. 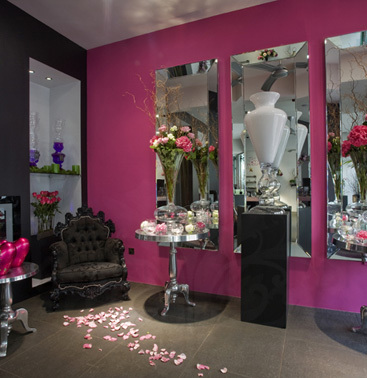 Neill's boutique is based in the exclusive enclave of Belgravia, London. 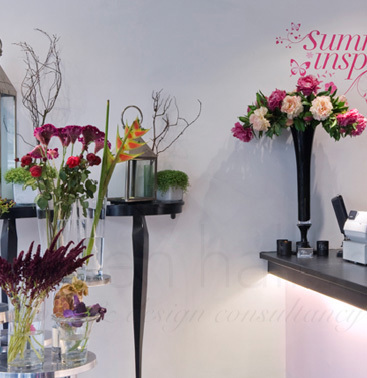 To create a Winter Colour Palette for his boutique's interior which would reflect Neill's vision of Summertime. 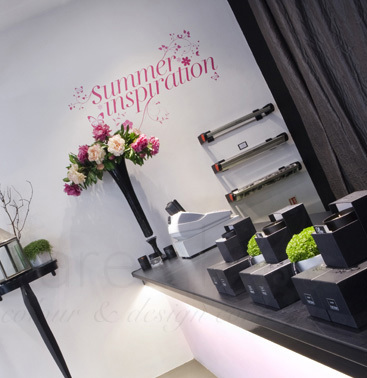 The purpose was to create the perfect backdrop to showcase his Summer Floral Exhibition at his exclusive Summer Party as well as to entice passersby into his boutique. During the consultation process we discovered that to Neill the colour Pink meant summertime. Working with this, we were able to find the right harmonious Pinks from the Winter Colour Palette. This was in keeping with Neill's Business Branding Colour Personality which had been identified as Winter, one of Sophistication, Glamour and Elegance. In essence, having a Summer-time feel using a Winter Colour Palette. 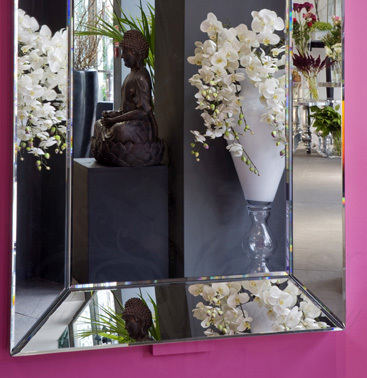 At karen haller interiors we use the Colour Affects System (see colour psychology for more information). 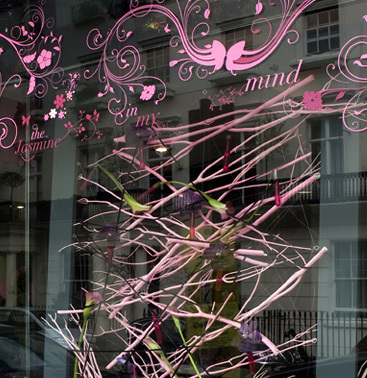 Neill's graphic designer was able to work with the Winter Colour Palette and elements to ensure the decorative wall and window illustrations were in keeping with the Business Branding Colour Personality of Winter. Neill has a team of amazing floral artists working alongside him. 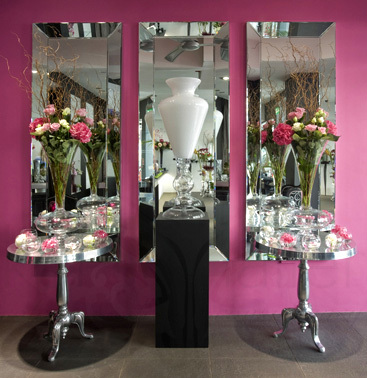 In the office and the back area of the boutique, the colours were selected for their restorative properties. Given how simple this interior colour theme is to replicate, Neill has already booked in colour consultations to create his Autumn, Winter and Spring time feel. 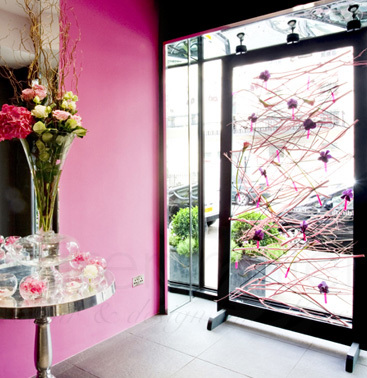 Learn more about how colour communication, colour psychology and interior design can work within your business.